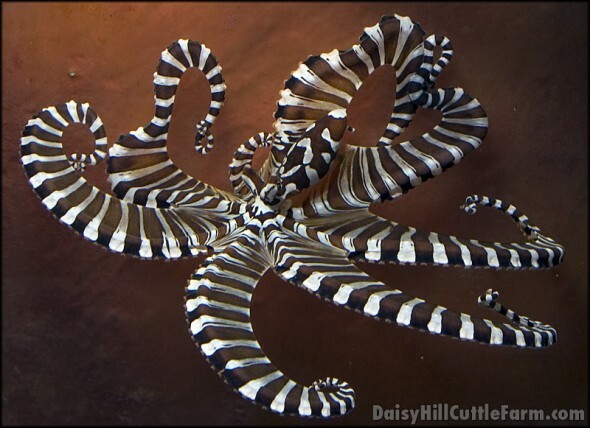 As it turns out, those pretty spots on the mantle of the octopus Wunderpus photogenicus are unique to each animal and could be used to track these animals in the wild in much the same way that whales are tracked. Currently, there is not much information on this cephalopod in the wild because their crepuscular lifestyle and ‘muck’ habitat make it particularly difficult to track indivduals. Plus, being small and delicate means that they cannot be tagged by any of the conventional means. Hit the read link for the full story. Since Wunderpus is one of the most sought after underwater photo subjects, professional and amateur photographers alike can contribute to gathering info on wild populations by contributing photos to the Wunderpix website. 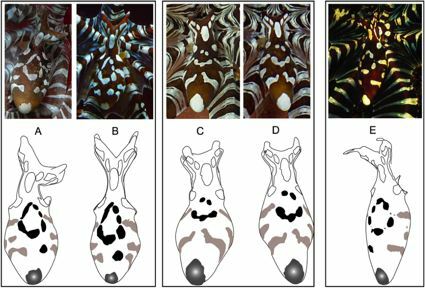 The paper ‘Individually Unique Body Color Patterns in Octopus (Wunderpus photogenicus) Allow for Phtoidentification” is available online here. Before everyone runs out to try to get one of these animals for their home it is important to note that they need a species only tank, specialized food, specialized substrate, they are not able to be cultured in captivity, most of the collected animals die within a few weeks, they are incredibly expensive (up to 700 dollars expensive) and they make incredibly boring pets because 99% of the time they do absolutely nothing. Interestingly, even the sharing of information, photos and video of these animals can be controversial. Some fear that detailed information and attractive photos or video may encourage impulse buys of these animals which is always a bad thing. I believe that the admiration of a species can be of benefit to its preservation in the wild rather than its detriment. Furthermore, it is my hope that the information on the site will empower aquarists to make sound, rational decisions regarding the advisability of keeping these very difficult animals. If you are interested in keeping cephalopods, there are several species that are easily available, better understood and much more inexpensive than Wunderpus. Please do some reading on www.TONMO.com before purchasing any ceph, and look at things to think about before keeping a cephalopod on www.wunderpus.net.